The fires will remain lit until 12:30 a.m.
A note about the weather: There is a pretty good chance that there will be a thunderstorm during the day tomorrow, but the weather during the actual event will be very nice. WaterFire will continue as planned. Check us out Twitter or Facebook for late breaking updates and be extra nice to all of our staff and volunteers who will likely be a bit soggy by the time the fires are lit. 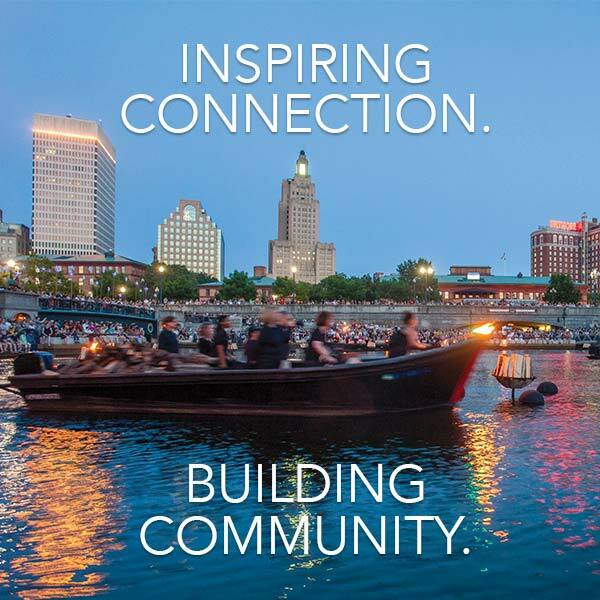 The WaterFire Arts Festival Plaza, in partnership with Bryce Studio, returns to Washington Street for the 2017 WaterFire Providence season. The Arts Festival Plaza and will be active from 6:00 – 11:30 p.m. 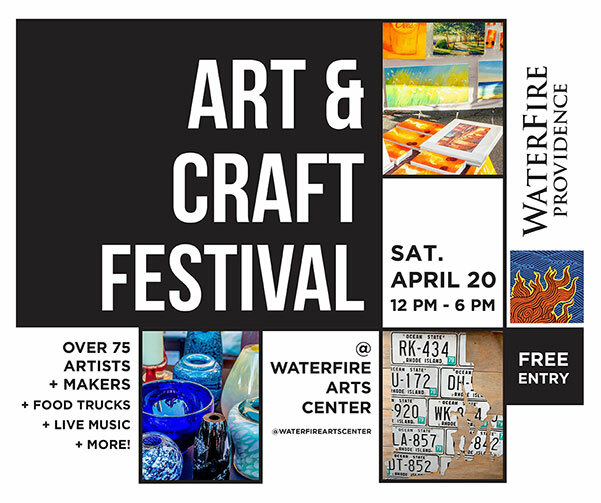 This outdoor artisan fair will showcase some of the great artwork created in Rhode Island in mediums such as glass, photography, sculpture, jewelry and more. 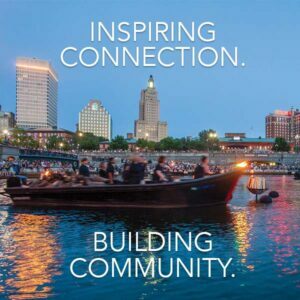 The WaterFire Arts Festival Plaza will offer visitors the opportunity to purchase artwork by Rhode Island-based artists. The Starry, Starry Night Installation will shine brightly in Memorial Park. Join thousands of WaterFire visitors in Memorial Park where the public is encouraged to add their own light to the night. For a small donation to WaterFire, make a wish upon a star or place your very own message and luminaria candle lantern in the park. The park will be aglow with hanging blue stars and a constellation of twinkling luminaria candle lanterns below. 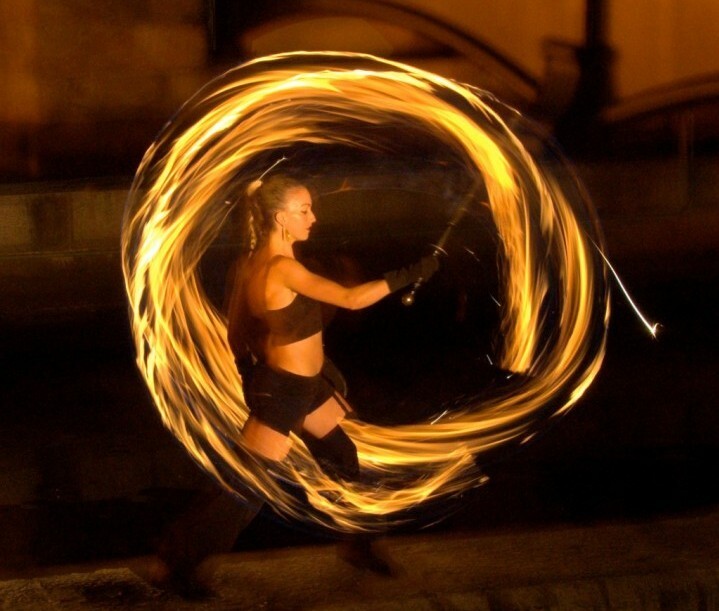 Fire dancers Andrew Lindsay and Liz Knights will dazzle the crowds during several performances throughout the evening at the confluence, on boats, and on the wall of braziers near Memorial Park. Mime artist Michael Grando will return again for this event. Be sure to catch Michael, in costume as the Commedia dell’arte character Pierrot, as he cruises the river tossing carnations to visitors along the shore. 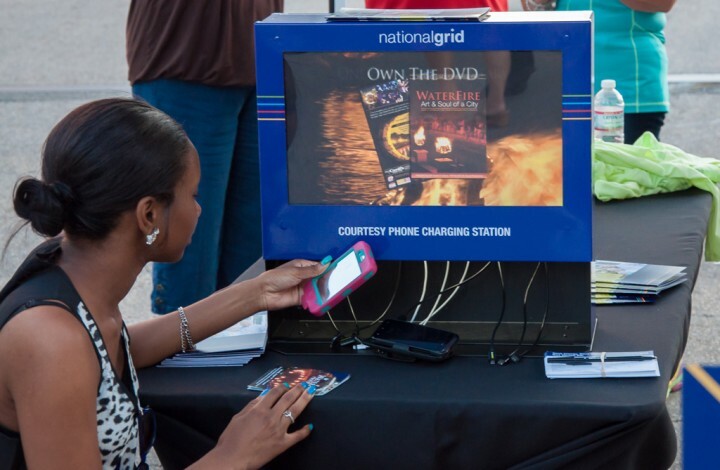 Make sure you can capture the magic of WaterFire all evening long by visiting National Grid charging station on Canal Street to recharge your smartphone and other mobile devices during the lighting. 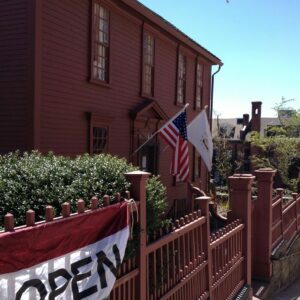 Make time to see The Governor Stephen Hopkins House located at 15 Hopkins Street (off Benefit Street). They are open for tours: Wednesdays from 11:00 a.m.to 2:00 p.m. and April through November on Saturdays from 10:00 a.m. to 4:00 p.m. & until 10:00 p.m., when they fall on a full WaterFire lighting (the last tour begins at 9:30 p.m.). The museum is also open by appointment, for which there may be a modest admission charge. Please email shh1707@gmail.com to make an appointment. where is the photo gallery from the ribbon cutting event? there were several photographers there I’m sure that I was included in the photos! Hi AmyBeth, there is a photo gallery on our Flickr page. 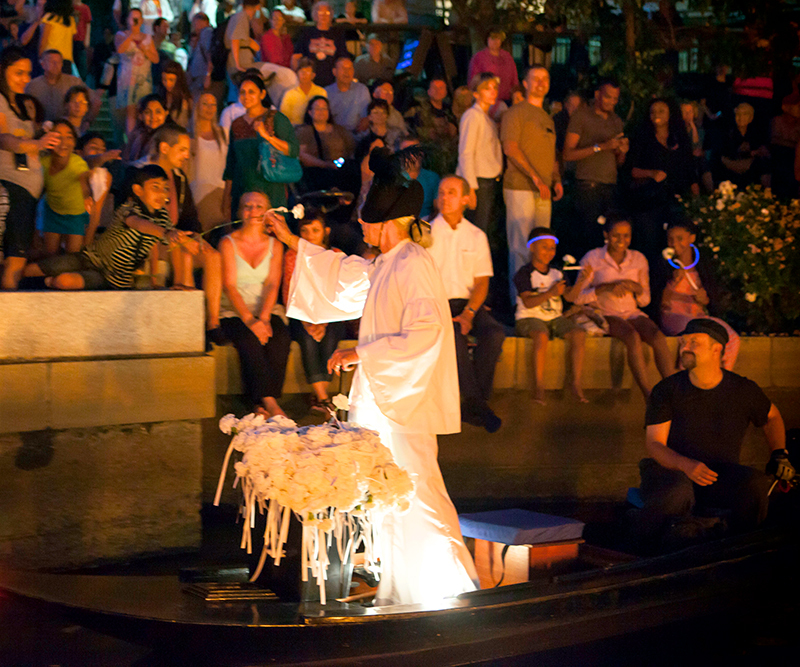 You can contact our Special Event and Operations department for more info about performing at WaterFire.